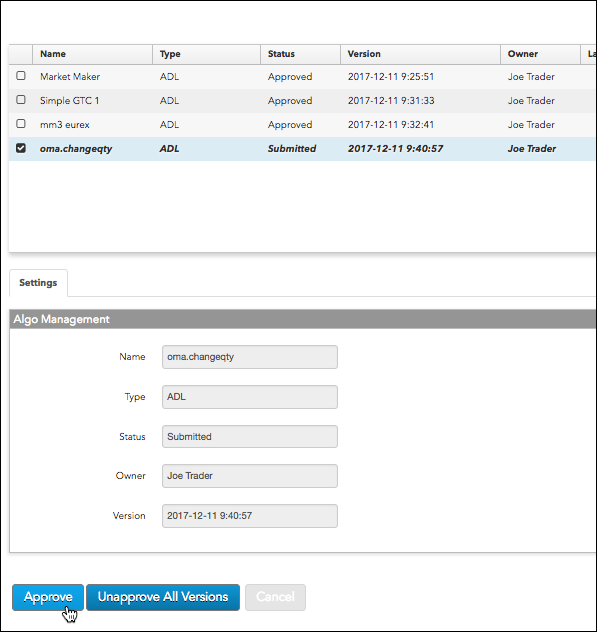 As an administrator or user with algo approval permissions, you can use the Algos tab to approve or unapprove algos for users, as well as view algo management settings per algo. Algo approval is only required for users that have their "Requires permission to run own algos" option checked. Click Algos in the left navigation panel. Select an algo in the data grid. Algos that require approval have a status of Submitted in the Status column. After selecting an algo, its settings are displayed in the Settings | Algo Management section. The Status column shows the algo as Approved. When using the unapproval capability in Setup, all versions of the selected algo will be marked as "unapproved." 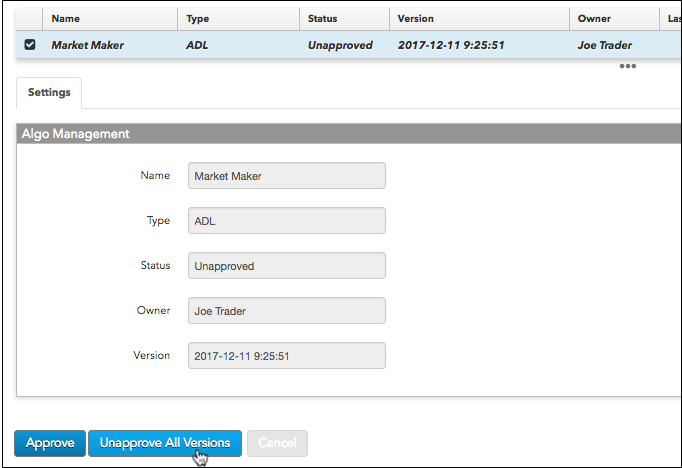 If users want to continue using an unapproved version, they will have to resubmit that particular version for approval in ADL. Select an approved algo in the data grid. The Status column shows the algo as Unapproved.